You are here: Home / All posts / Has the UK violated international laws in Yemen conflict? The recent bombing of a funeral finally drew the world’s attention to Saudi Arabia’s war in Yemen. Meanwhile the role that British-made weapons have played in the conflict has been getting increasing media attention. Given the compelling evidence, UK arms export policy urgently needs to change, says Shavana Musa. According to the Stockholm International Peace Research Institute’s Trend Indicator Values, the UK was the seventh biggest exporter of arms in 2015. In many respects the argument for exporting is clear – weapons are needed for defence and security and if we [the UK] don’t sell arms then somebody else, with perhaps more questionable standards, will. This is more than likely a subsidiary point to the primary financial benefit the country receives as a result. However, recent evidence has called into question the UK’s process of risk assessment in selling weapons to countries that have subsequently used them to commit atrocities. On this, I refer mainly to UK arms exports to Saudi Arabia. Saudi Arabia is undoubtedly one of the UK’s biggest clients for defence equipment, and along with other countries in the Middle East has been recognised as a ‘priority market’. In 2015 alone, over 30% of all UK defence exports were licenced to Saudi Arabia with values of over £1.7 billion for combat aircraft and over £1billion for air-delivered bombs (source). These weapons, however, have been found to play a key role in the conflict in Yemen. Numerous on-the-ground studies conducted by various organisations have highlighted the humanitarian and human rights abuses that have taken place as a result of the Saudi-led coalition’s intervention in Yemen. The UN High Commissioner for Human Rights has reported at least 3,799 civilian deaths and 6,711 civilian injuries, acknowledging breaches of international law. Medical units and establishments were attacked and there was evidence of severe violations of international humanitarian law and the commission of war crimes by UK-sold arms. In selling weapons to Saudi Arabia which have been used in the Yemen conflict the UK has, in my view, not only violated national and EU law, but also international laws including the first global Arms Trade Treaty. All these laws explicitly state that recipients of weapons must respect international law and exporters must not grant licences where there is a risk that items may be used to commit international crimes or breach international laws. The fact that the UK led the way for and championed the Treaty from the outset highlights its janus-faced approach. Since Saudi Arabia was already a country of concern according to the Foreign Office, it raises serious concerns on how licences for arms export to such countries are assessed and issued – all of which are done via processes that are far from transparent. The Parliamentary Committees on Arms Export Controls (CAEC) has over the last year launched a number of inquiries into UK practices on arms export and a number of experts, including myself, were invited to provide evidence on issues such as the UK’s adherence to international laws, particularly in light of the Saudi-led intervention in Yemen. Whilst a report from the Committee’s work does recommend a supplementary UN-led investigation, it is clear that to prevent further possible violations, the UK must halt these transactions to Saudi Arabia. Despite the fact that Saudi Arabia has now launched its own Joint Incidents Assessment Team (JIAT) to look into this matter, the UK should not simply rely on assurances by a country on the intended use of arms, whether before or after a violation. The UK government should take into account that recent attacks, such as that on a funeral in Sana’a (the capital of Yemen) which killed 140 people, show that the Saudi-led coalition is unlikely to slow down its campaign. In the same vein, a much stricter risk assessment in line with international obligations should be made before licences are approved, not simply for Saudi Arabia, but also for other countries that may, too, have questionable human rights and democratic standards. The UK has for instance made transfers to countries such as Bahrain and Burundi in the past. Given CAEC’s work and the recent High Court decision to allow the organisation Campaign Against Arms Trade (CAAT) to bring a judicial review against the Secretary of State for Business, Innovation & Skills’ decision to export arms to Saudi Arabia, UK arms export practices will remain under scrutiny. Given the compelling evidence pointing to illegal end user practices as a result of UK arms exports, this is imperative. Hopefully, recent findings will institute change in the way the UK assesses and approves licences so as to put an end to the continuous injury being inflicted in Yemen, as well as other potential conflicts, that could be fuelled by UK arms. 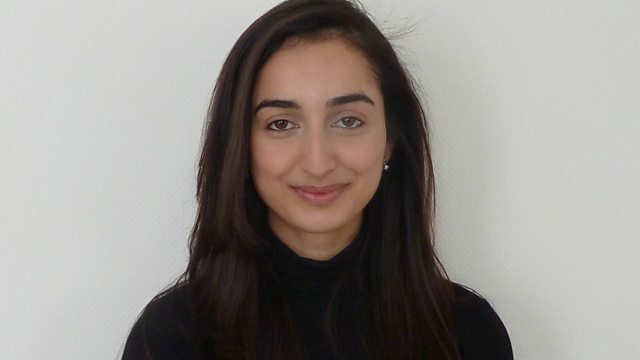 Dr Shavana Musa is a Lecturer in Constitutional and International Law at The University of Manchester School of Law.